Originally published by the National Wildlife Federation in 2010, this piece by writer and guide Michael Engelhard commemorates the fiftieth anniversary of the Arctic National Wildlife Refuge (originally called the Arctic National Wildlife Range). In some ways, it seems like ages ago: pre-Trump administration’s December 2017 tax bill, led by Senator Murkowski, which mandated lease sales in the Coastal Plain; pre-Zinke’s secretarial order to cut the time allowed to complete the required NEPA process to only one year. But eight years ago, the effects of climate change were quite clear, describing warming temperatures, changing precipitation patterns, thawing permafrost, and loss of sea ice as “systemic threats” to the region, and he and many others recognized the imperative of keeping oil, especially in the Arctic, in the ground. As we face this latest threat against the Coastal Plain, we’re reminded of the long legacy of stewardship and protection of this land, and the moral imperative of continuing to stand with the Gwich’in Nation and their allies in defense of the Arctic Refuge. Submit your scoping comments before June 19 by email or snail mail, and plan to attend upcoming public meetings. This December marks the fiftieth anniversary of the Arctic National Wildlife Refuge’s creation, celebrating the first time in American history that an entire ecosystem was granted federal protection. From the very beginning, the refuge sparked political and economic controversy. Of a total of 19 million acres, only 8 million were protected as federally designated wilderness. The Alaska National Interest Lands Conservation Act of 1980, which created the refuge, also designated 1.5 million acres of the coastal plain as the “1002 Area” and mandated studies of its natural resources, especially petroleum. Congressional authorization is necessary before oil drilling can proceed in this area. The remaining acres of the refuge were designated “minimal management,” with the intent to maintain existing natural conditions and resource values. To the casual observer on the ground, all seems well. Almost as big as South Carolina, the refuge is the setting for life cycles that essentially unfold as they did at the end of the last ice age 12,000 years ago. The coastal plain between the Beaufort Sea and Brooks Range forms the refuge centerpiece—the birthplace and nursery for tens of thousands of caribou migrants. As the highest level of protection, only congressionally designated wilderness can give the Porcupine herd and affiliated species a chance. The most biologically productive part of the Arctic National Wildlife Refuge—the 1002 Area, which overlaps the calving grounds—still lacks that designation. Its 125 miles mark the only segment of Alaska’s northern coast still off-limits for drilling. According to FWS surveys of polar bear den sites, it also includes nearly half of all dens identified on the mainland. With polar bears endangered and a focus of media attention, fall bear watching has skyrocketed, bringing sustainable income to Kaktovik and giving the bears new economic importance. As pressure to become independent from Middle Eastern oil built throughout the 1980s, the refuge faced dozens of legislative assaults. Energy corporations lobbied members of Congress, some of whom then introduced the requisite bills. Often these failed to pass by only a narrow margin—as in 1989, when the Exxon Valdez; oil spill swayed public opinion against opening the refuge to drilling. Seismic testing by the U.S. Geological Survey has suggested that between 4.3 billion and 11.8 billion barrels of economically recoverable oil lie in the 1002 Area, the equivalent of six to eighteen months of the nation’s current oil consumption. The American Council for an Energy-Efficient Economy calculates that automobile fuel standards of 40 miles per gallon could save five times the amount of oil that may lie beneath the refuge. The oil industry often touts the compatibility of drilling and wildlife, but data from the Arctic oilfields suggest that this compatibility is a myth. 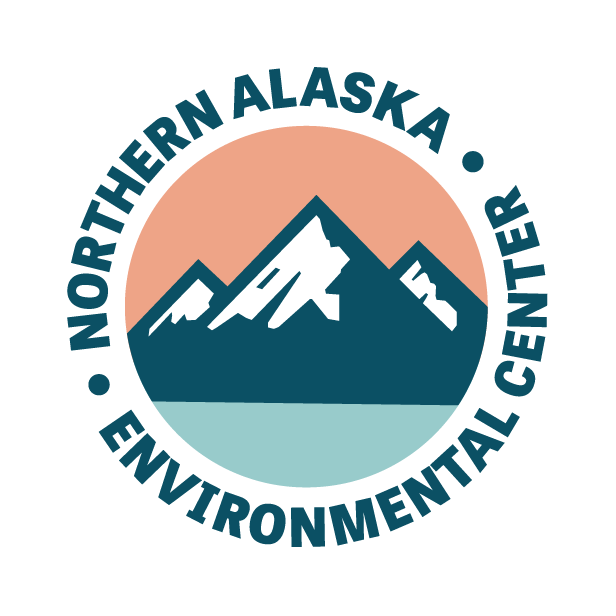 The Alaska Department of Environmental Conservation reported up to 554 oil spills per year on the North Slope, averaging one every 16 hours between 1996 and 2004. Climate change makes more Exxon Valdez scenarios likely. “As sea ice recedes and shipping increases along the coast, how will we protect resources at risk from spills?” asks Deputy Refuge Manager Jimmy Fox. Conservationists also fear that noise, roads, drilling pads, gravel fills and excavations in the 1002 Area could force caribou to calve in less favorable locations or could restrict their access to the coast for relief from insects. A Canadian Wildlife Service study found that 19 percent more calves died when snow kept the herd from its preferred calving grounds. The use of fossil fuels already is affecting the Arctic refuge through global warming. Available data from Alaska and western Canada indicate that winter temperatures in this area have increased as much as 7 degrees F in the past 50 years. Snow-covered areas have decreased by about 10 percent over the past 30 years, with the most significant decreases occurring in April and May. Refuge researchers and other experts have found that as sea ice thins from warming, increasing numbers of polar bears seem to be denning on land rather than on sea ice when preparing to give birth. Refuge musk-oxen have declined, perhaps because of mid-winter icing caused by freezing rain and thaws, which reduces access to food and also increases the amount of energy each animal uses. On the refuge coastal plain, permafrost warmed 3 to 5 degrees F between 1985 and 2004; it will likely thaw if predicted air temperature warming of 9 degrees F occurs during the next century, releasing methane gas, a more potent greenhouse gas than carbon dioxide.